Awesome projects! I miss getting together with friends to craft. I used to go to a monthly scrapbooking crop, but I moved a few hours away, so I don’t get there very often now. Thank you. I love my craft group – I have even worked jobs around it, saying I can’t work on Thursdays as I have ‘commitments’! Shame for you that you don’t have one – maybe it’s the opportunity to start your own? Your craft group sounds wonderful plus there is cake! Your fellow crafters in the group are working on some wonderful projects! I love that turquoise coloured wool! I made a snowman family, who are now tucked away safely until next year. This was my first knitting project in nearly 40 years. Next step, something more ‘grown up.’ Good luck with your projects. Thank you – I love the colour too. 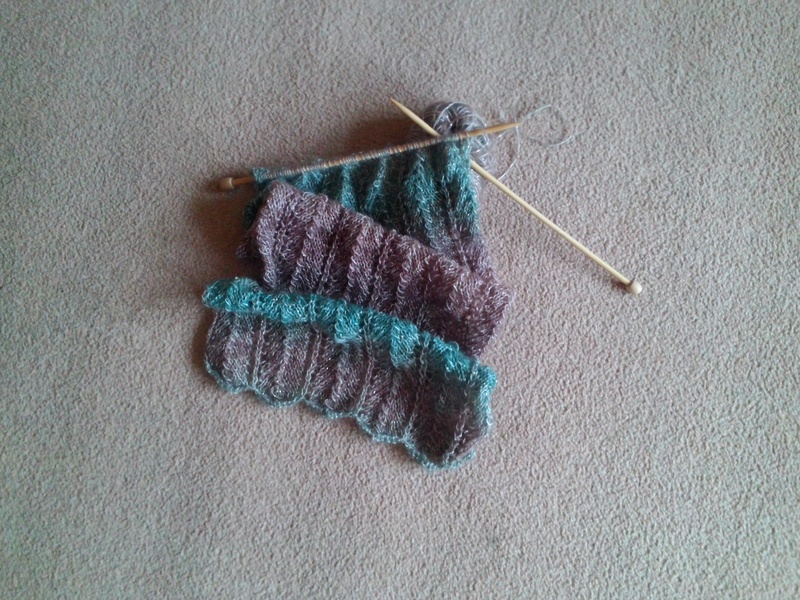 Well done with your first knitting project in forever – so many wonderful things out there to knit. Can’t wait to hear what your next one will be. Wish you luck too!